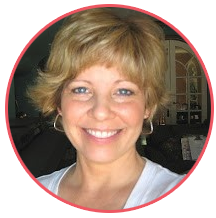 My daughter and I have talked often over the years about being unique and being authentic. I've always wanted Lauren to be comfortable just being her. Sometimes it's hard in this world where we are pressured to conform. Lauren and I are hard on ourselves. As I've gotten older, I have an easier time letting the perfect go. 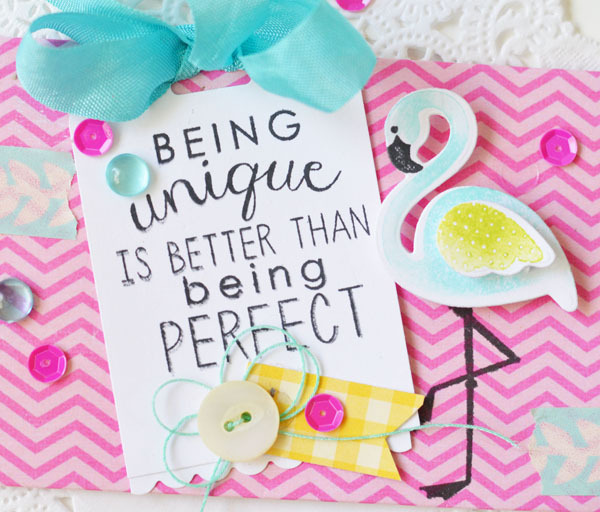 I still have to remind myself sometimes that "as good as I can do it" is perfectly fine! That's one of the reasons I LOVE this sentiment. 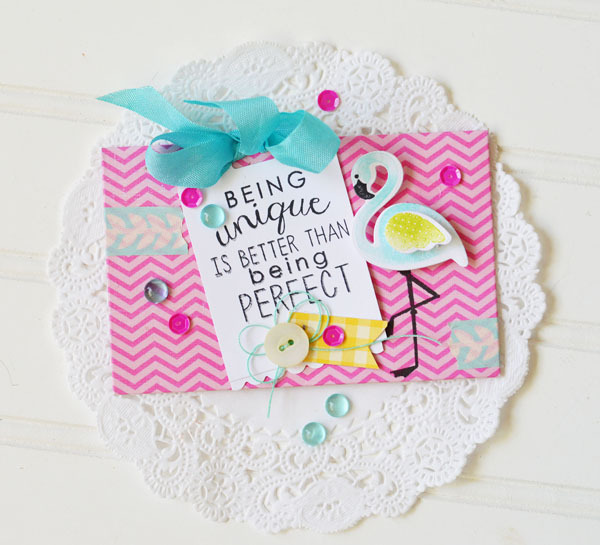 And look at this darling Flamingo! Cute, right? The stamps and dies are from Reverse Confetti. 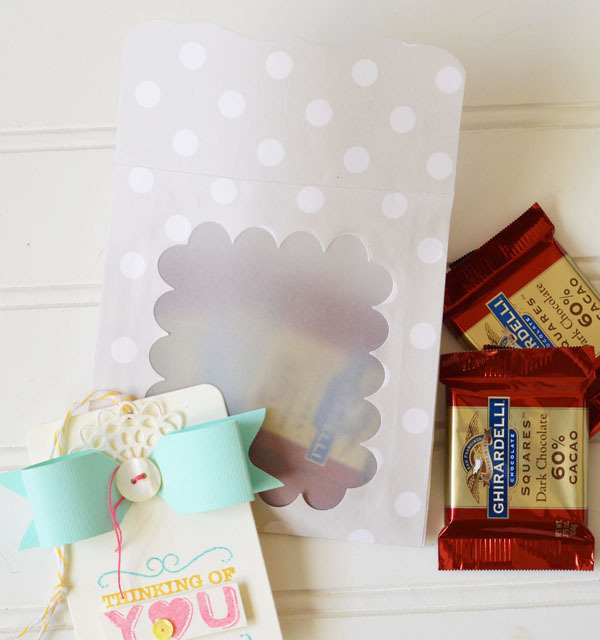 I love string tie envelopes, but sometimes I just don't want to set eyelets. 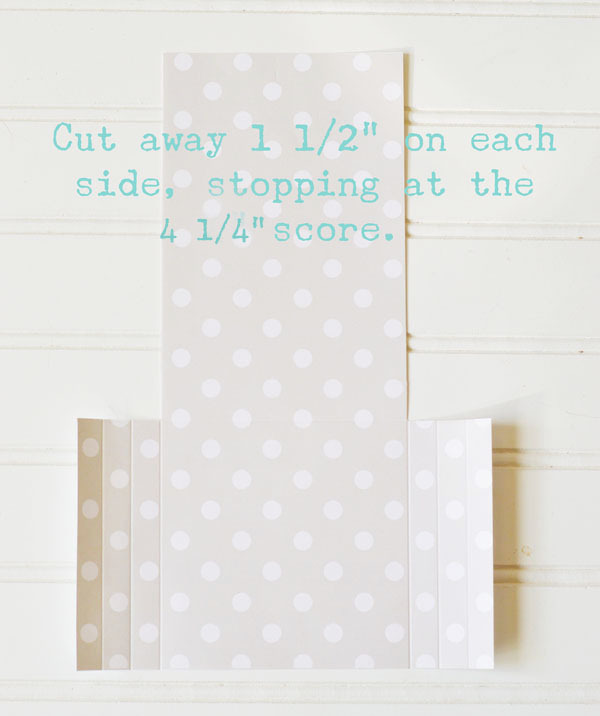 So I've got an alternative way to do the ties that I pretty much use all the time. I use circles and pop dots. Just cut four circles (larger than your pop dot). 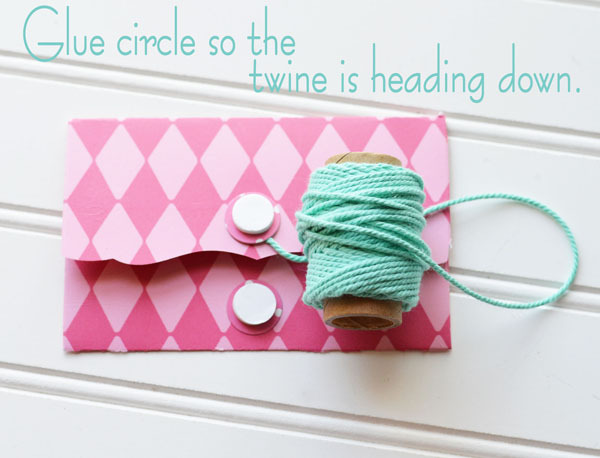 The twine will be glued under only one of the dots. Don't cut the twine yet! 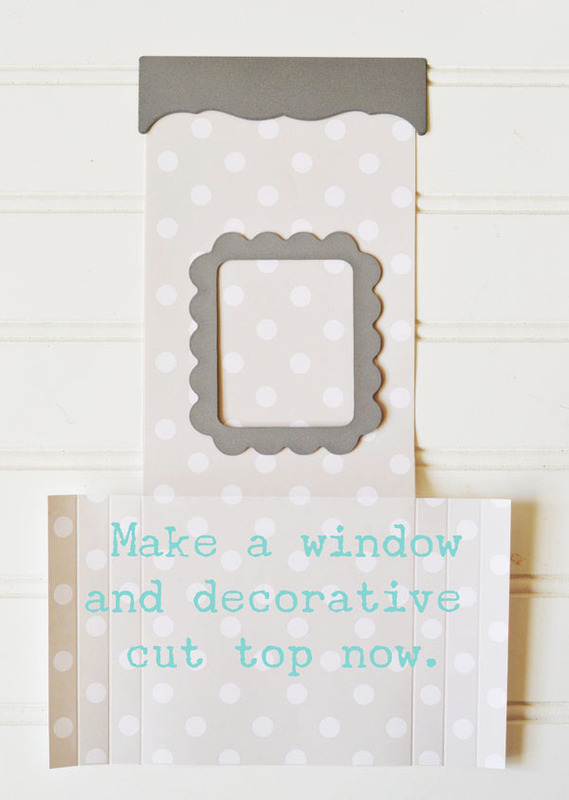 I like the twine to start on the top dot. 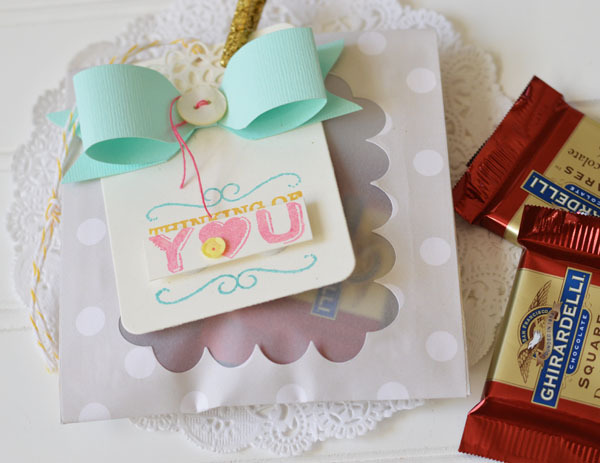 It's important that the twine be pointing down toward where it will wrap. 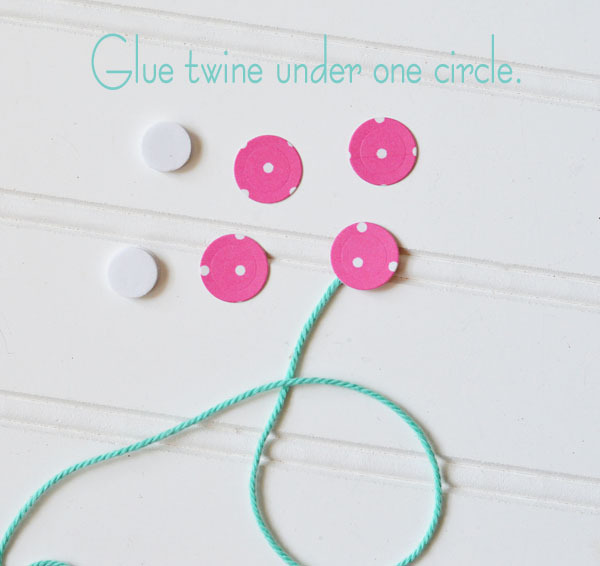 Glue the pop dots on top of the circles. Finish off with the other two pop dots. I put a little dot of glue on the top and bottom of the pop dot - just to give a little more stick-to-it-ness. 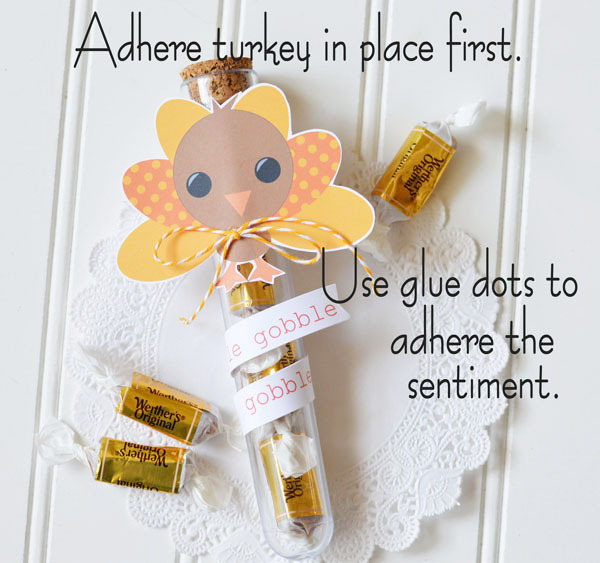 Wrap the twine around the pop dots and when you know for sure how much you need, then you can cut the twine. That way you ensure that you always have enough! 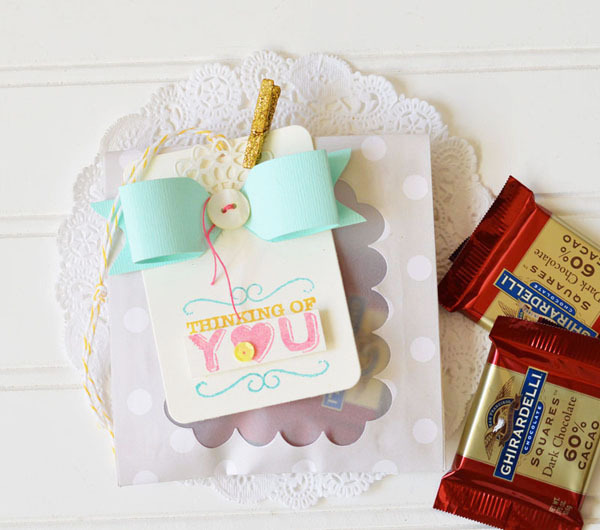 I promise the twine doesn't stick to the pop dots - or at least it hasn't so far! It works really well. 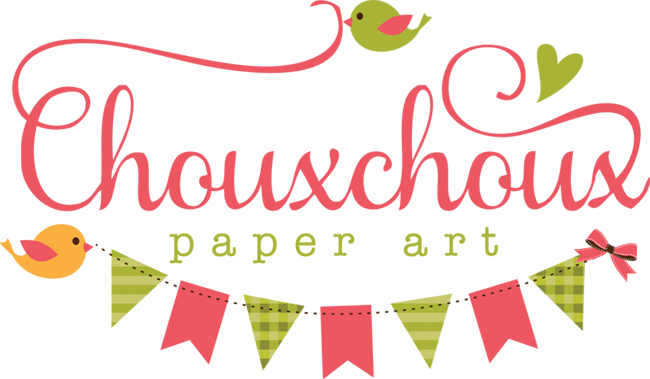 Cut your paper to 6 1/4 x 7 3/8". I printed my paper double sided on 80lb paper. 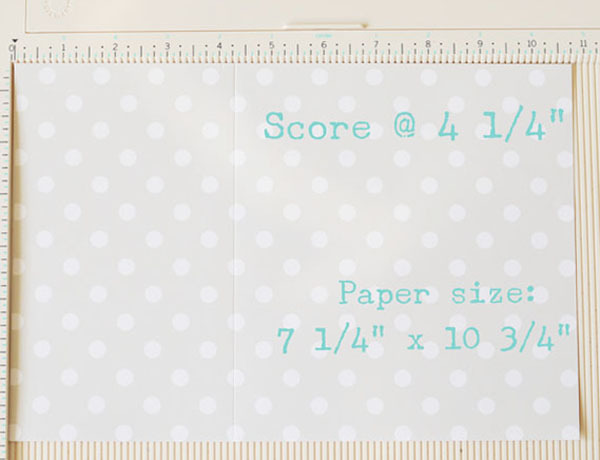 This pretty paper is from Grepic and is included in a set called Cupcakes. 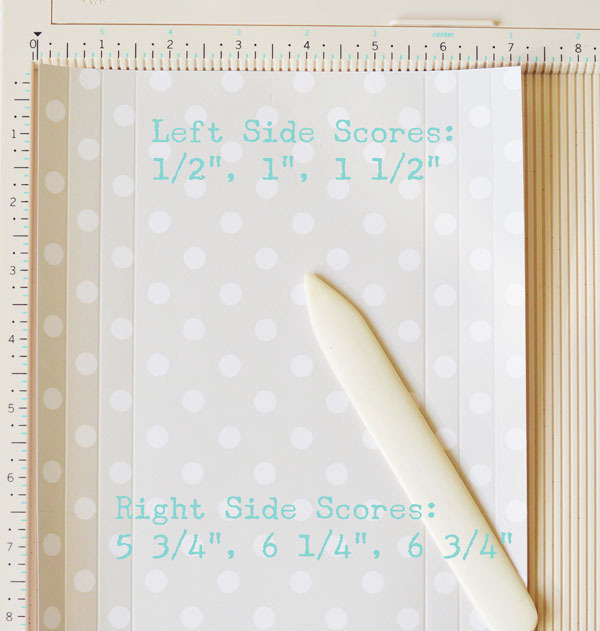 Cut off the tabs you've created with the 3/4" scores above and below the horizontal score lines. You will have tabs on just the middle section. Then as you can see one picture up, I used a decorative edge die on the top portion. 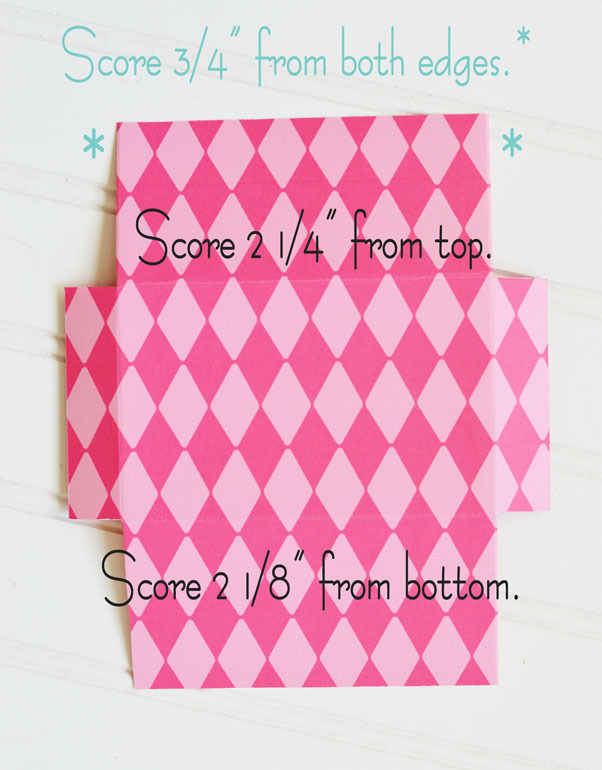 Fold up the bottom and adhere to the tabs. So what do you think about uniqueness? Wouldn't it be lovely if we could all live with this philosophy? 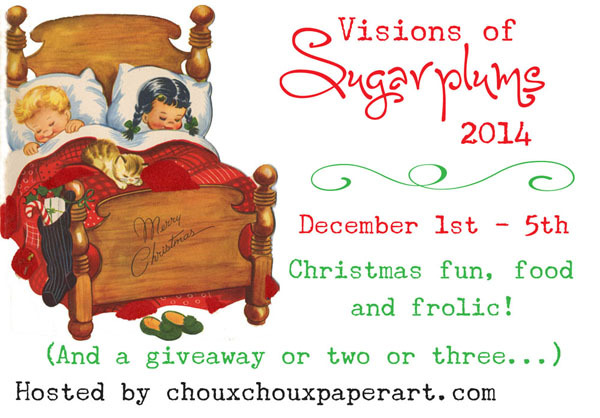 Don't forget to mark you calendar for Visions of Sugarplums! Hi, there! Hope you had a fun Halloween! It was unusually quiet around our neighborhood this year. Did you have a lot of trick or treaters? 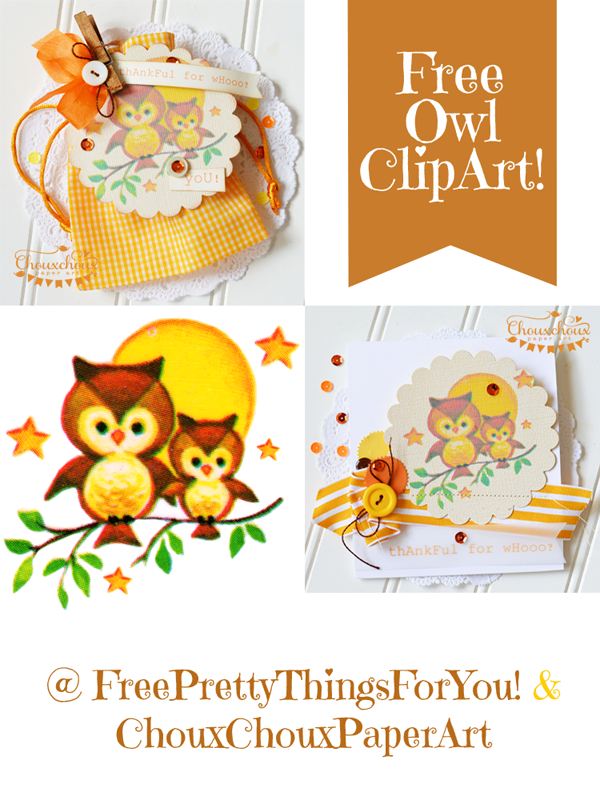 Keren, from Free Pretty Things for You and I are bringing you the cutest Mama (or maybe, it's Dad) and baby owl image today! 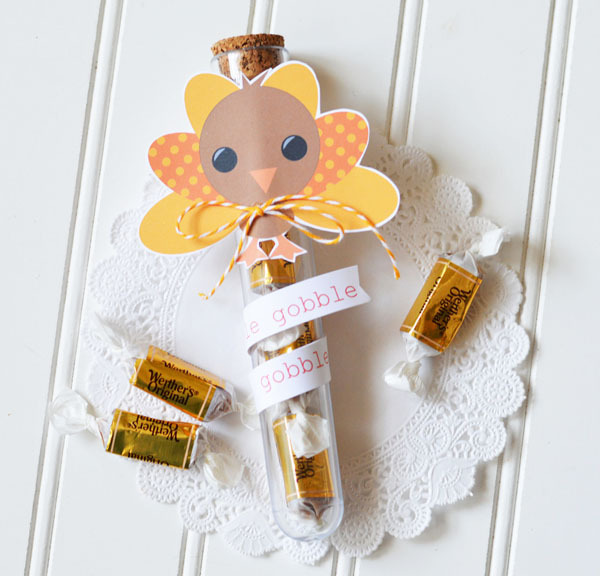 The owls look rather fall-ish, so I decided a thankful card would be a great match. 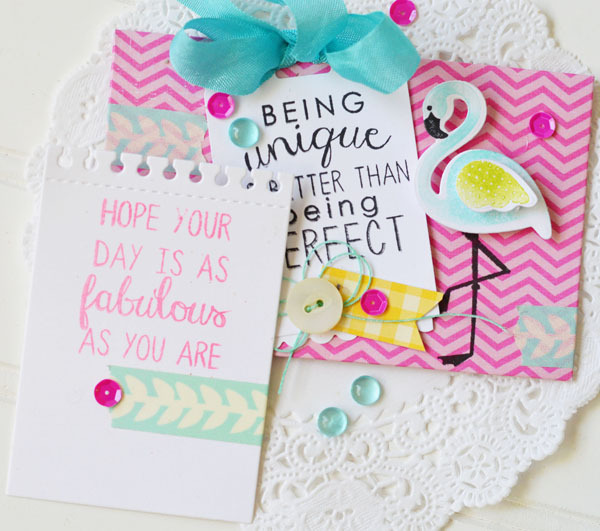 I printed them on a linen finish and sewed the scallop circle and ribbon right to the card. The owls are so darn cute, I couldn't stop at just a card. I made a tag for an orange gingham bag, too. Every time I look at these sweet owls, I just smile! I had picked up these gingham bags quite some time ago and had practically forgotten that I had them. Luckily, I came across them while I was looking for something else. Do you ever do that or am I the extremely disorganized one? 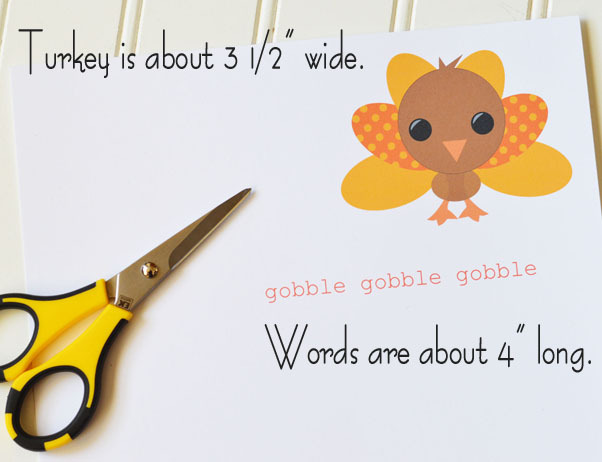 As always, Keren and I offer cute images for free! 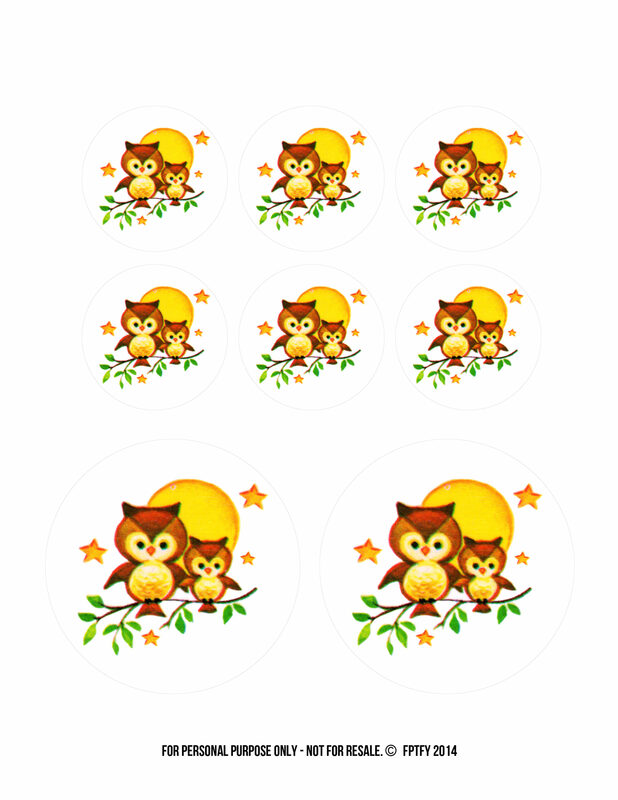 Click HERE for a download of these cutie owls in a 2" and 3.5" circles. To get a large download, visit Free Pretty Things for You.